When I was doing the hotel reservations for Rann of Kutch trip, I made a mistake of not booking any hotel at Bhuj. The reason behind it was that I was not sure whether Anupma and Sarthak will be able to endure a 12-15 hour journey in the car from Jaipur to Bhuj. However I was checking the rooms and their prices at various hotel booking sites and when the dates neared, the inventory of rooms was disappearing very fast due to Christmas holidays and Full Moon night and Rann Utsav. 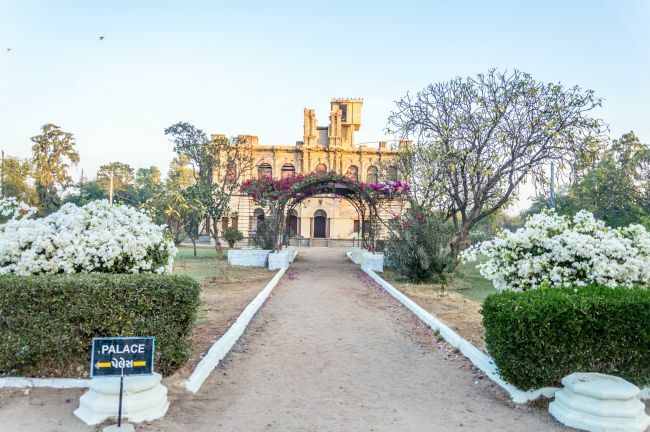 I decided to book the room in advance thinking that we will try to make it to Bhuj and in case we are not able to make it, max we would lose is one day's room rent, but this will save us the hassle of searching for the room. The prices on all the booking sites had gone through the roof and were not at all pocket-friendly. So I tried searching google for hotels and started calling them up one by one. Everyone was fully booked. Then I called a property listed as Sharadbagh Homestay. A gentleman picked up the phone and after hearing me, passed the phone on to a lady. The lady after enquiring about the dates told me that she would call back in 10 minutes. I kept on trying other properties and two of them though did not commit any room but assured to arrange for it once I reach Bhuj. In the meantime, a call came from the Lady at Sharadbaugh. She confirmed the availability of budget rooms. The way she talked and not even bothered about an advance in spite of me offering it was the first positive impression. I confirmed the room. This was the first time in my life that I had booked a room without looking at reviews or studying the property on the net. It was a booking done in desperation. After the room confirmation, I started to look for reviews and viola I had hit a Jackpot. I was a heritage property and I have a weakness for heritage properties. you can read about my stay at one heritage property here. On day 2 we made a dash to Bhuj from Jaipur and excellent road network helped us reach Buj by 6.oo in the evening. We had already told our hosts to arrange for the dinner. I was expecting the property to be good, but when we reached there, it exceeded our expectations. 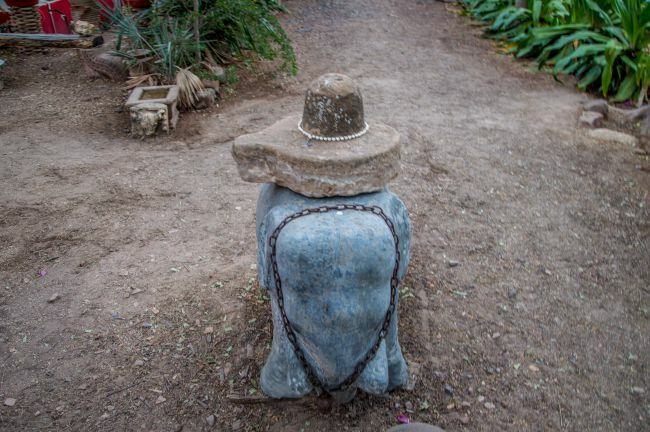 The bungalow was built in a corner of a 100-acre property and was very aesthetically decorated. 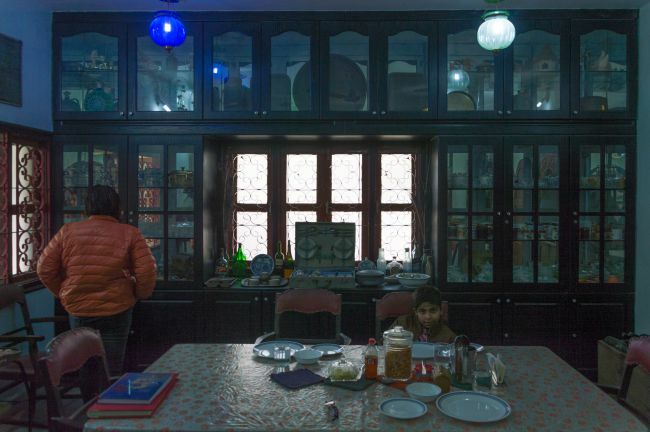 The Jadeja's welcomed us with a smile and then we were shown the room. Our room being a budget room was an annexe, but I think it was better than the rooms in the main house as it was in a beautiful garden and a very beautiful sit out just outside the room. 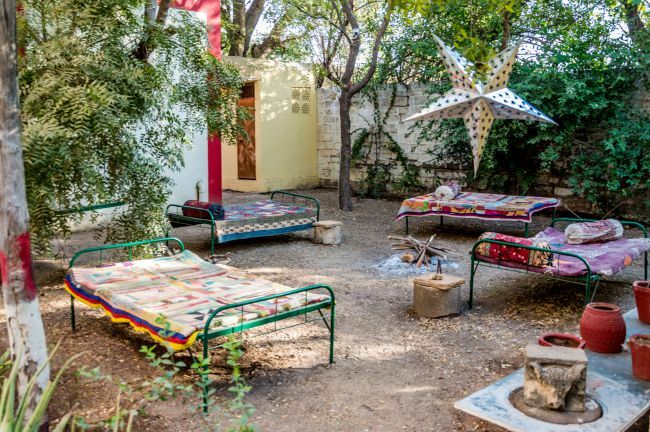 The beds were very comfortable and very clean. The towels did match the level of star hotels. Cookies, small packets of wafers, chocolates replicated the cookie or fruit baskets that the top-rated hotels offer. Tea coffee maker and the supplies were a cherry on the top. Our hosts were Pratap Sinh Jadeja the grandson of the last ruler of Kutch Sri Madan Sinh ji and his wife Shalini Kumari Sing Jadeja. Their daughter Trishulini and sons Aniruddh And Meghdeep completed the family. 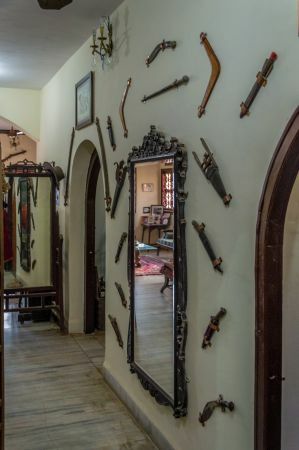 The DNA of a royal lineage shows in how tastefully they have maintained and decorated their property. This circular rustic looking platform with wrought iron chairs and a lamp post in the middle is a perfect setting to enjoy the evening and the boat in the background full of beer cans is a testimony of its proper utilization. There were 4 canoes in the garden. 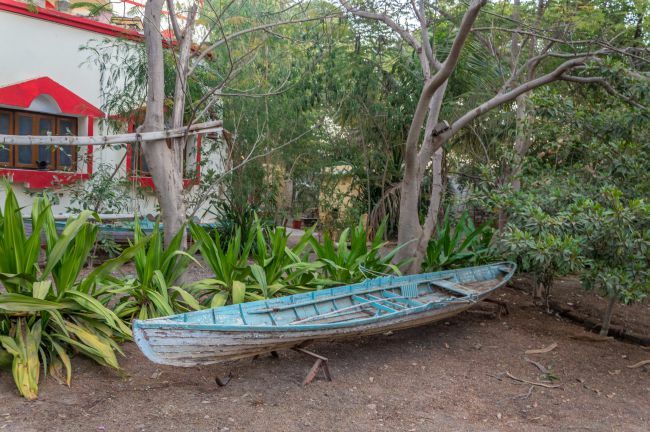 I have never seen a canoe being utilised as a decorative element in a garden, but these canoes added another dimension to the setup. After settling down in the room and freshening up, we came out to enjoy the garden. They had a huge enclosure with the small beautiful love birds chirping merrily. 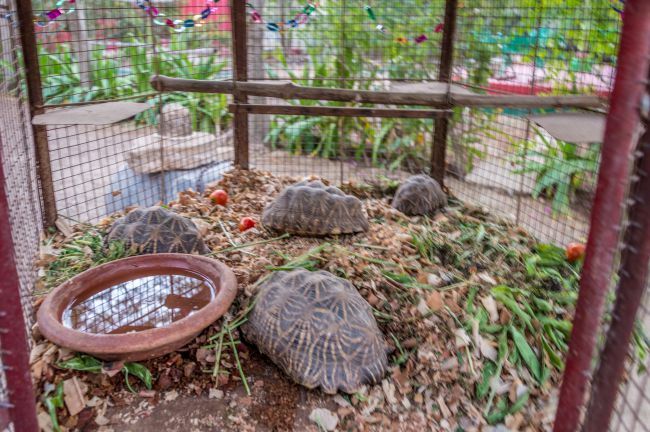 Another enclosure had turtles, yet another one was housing roosters. A cute Dachshund roamed around playfully. After enjoying the garden, it was time for dinner. The dining hall was as if we have been transformed into some other era. 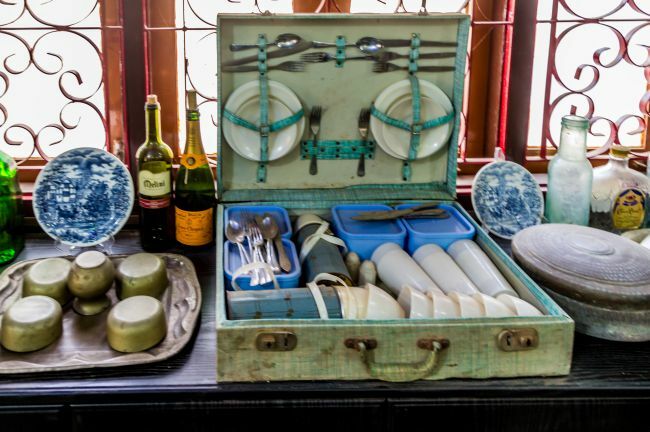 It was very tastefully decorated with English crockery and other artefacts. The food was home cooked and very tasty. Though slightly expensive, but very satisfying and served with love. During dinner and after that, we had a small chat with the hosts, knowing each other. Next day while Sarthak was still asleep, me and Anupma after freshening up had tea sitting at the sit- out built outside our rooms. It was a great experience. After the tea, we went out for a stroll on the property. It was a huge property, but most of it was lying barren. 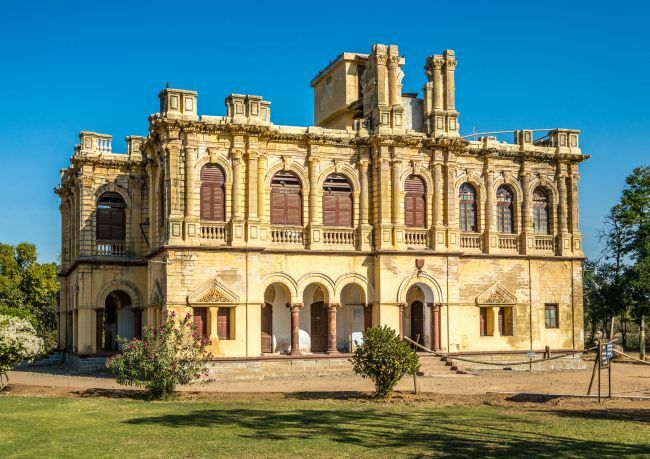 The Sharadbaugh Palace, the palace of the erstwhile rulers of Kutch. 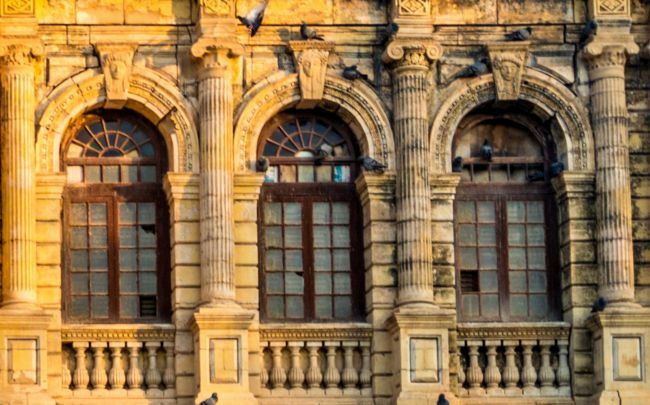 It was lying dysfunctional after it became unsafe during the infamous devastating earthquake of Bhuj. It was a beautiful piece of architecture. Though small in size, it was lavishly built and had a lift even at that time. A beautiful garden had been maintained in front of the palace. This garden and the greenery maintained seemed normal to me at that time. 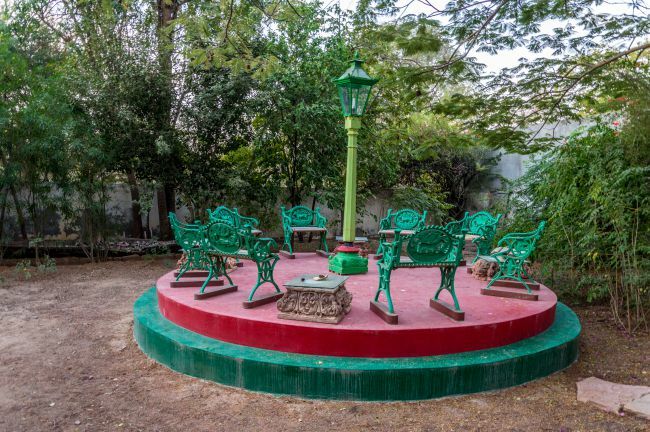 However, I could appreciate the garden and the greenery only after the discussion with Pratap Sinh ji, that it had not rained in Bhuj for 07 years. So it is difficult to maintain greenery and that explained the reason why most of the land in this 100-acre property was lying barren. After coming back from the morning stroll, we got ready and by that time, breakfast was also ready. Breakfast was a simple affair Poha, cornflakes and bread. After breakfast, it was again time for a chat session with the family. Mr Jadeja also joined us and proudly showed us his possessions. An M.F. 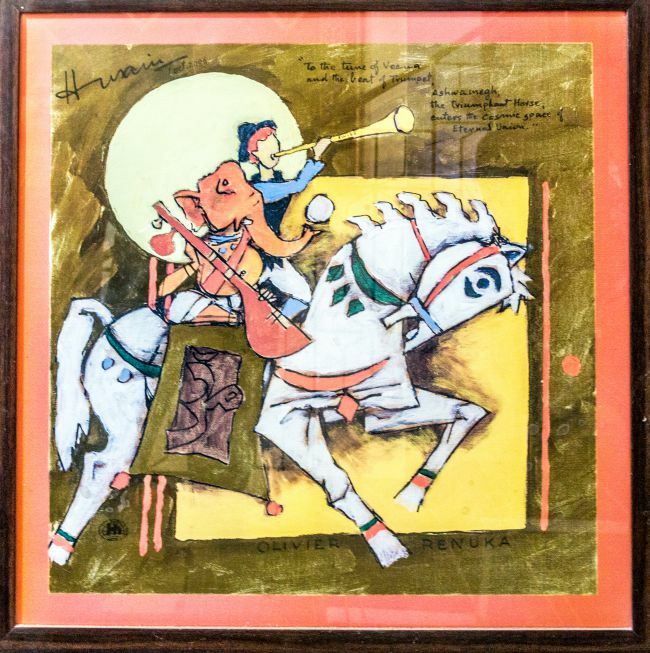 Hussain painting hung on the lobby wall, a vintage piano of Dara Shikoh period which had keys made up of ivory. He told that they even have beds of that era. All these were a treat to the eyes. The environs were so good that we wanted to stay more at this place, but we had other bookings already done so we had to leave and so we bade goodbye to the Jadeja family. The very first stop was Sharadbaugh Palace. The original building was damaged badly in the earthquake. A much small building near it serves as a museum and has awesome desplay of Texidermy and other artefacts. As the photography inside the museum was not allowed, I do not have any photograph of the inside of the museum. The beautiful gardens in front of the palace were being used for a pre-wedding shoot and the palace presented a beautiful backdrop. We had to stay in Bhuj again after one day, but Jadeja's were fully booked on those days. So we had to look for some stay option for the day after tomorrow. 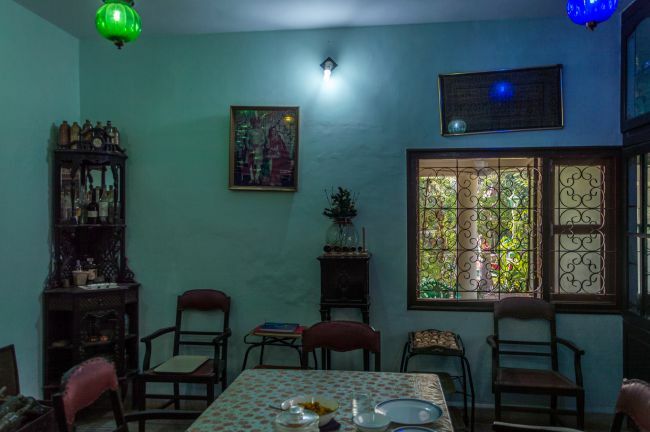 We booked a guest house, which was a desperate booking as it being the Rann Utsav and Christmas time, the rush was huge and I did not want to waste much time searching for a hotel. After sorting the room issue, we proceeded to see Parag Mahal and Aaina Mahal. Such a wonderful experience staying in a palace property. There must be so many stories if the owners can be made to talk. I would love to stay in such property for few days. So much to feel for sitting alone and thinking of the past when royalties used to move around the place. 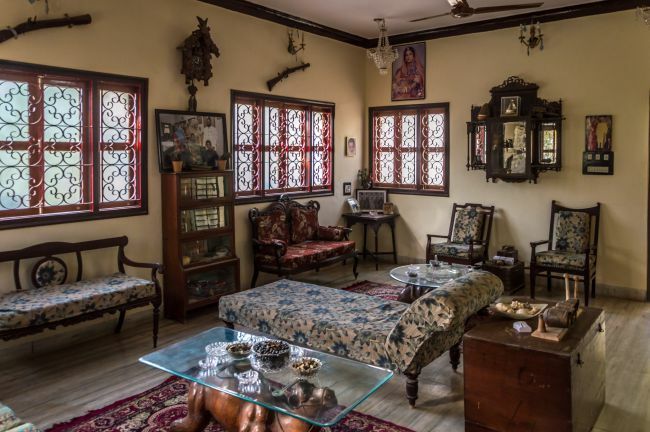 Though not a palace property, it was a bungalow on palace grounds, and yes the hosts have so many stories to tell, we also longed for more stay, but our entire trip plan was already fixed, so could not.